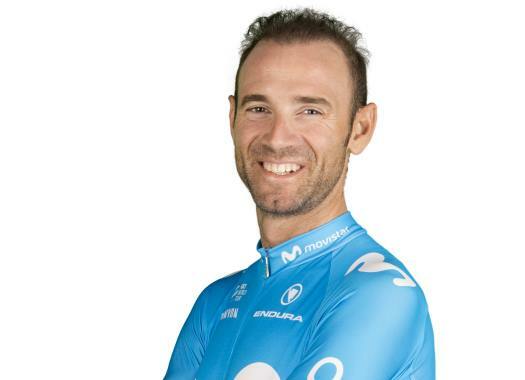 Movistar's Alejandro Valverde crossed the finish line of the 14th stage of the Vuelta a España in the third position and climbed to the second position of the General Classification. The rider went away with Miguel Angel Lopez to hunt Simon Yates at the last metres of the stage and crossed the finish line just behind the Briton and the Colombian. "If I’m honest, I’m a bit sad because I’ve got the impression I could have won this one," the Spaniard commented at the finish line. "I was going really well, but it ran off my control. Sometimes you’re doubtful about your own chances, about being able to keep up with the others’ pace to win. "It was hard for me to know I did a mistake today because I had the energy to go for it yet mistimed my final efforts. I didn’t know the climb well, I thought the final slopes were going to be harder — don’t get me wrong, full credit has to go to Simon, who deserved this victory. Valverde thought that he could have shown a better performance at the last climb of the day. "It was just that I waited for too long, thinking those slopes were going to be more difficult, but when I wanted to pick up the pace into that ‘sprint’, I was already too far. "As I saw López coming from behind, it was all the same if I finished second or third – I just didn’t win." Even though he couldn't get the victory, Valverde enjoyed the second climbing day of the week. "After all that, I must say I loved the climb – but that might have been because it went well for me. For me, though, this is less tough than La Camperona. At the initial slopes, I went off the front, trying to push and set a good pace, gain some sort of ground so I could help Nairo if he decided to attack. "The truth is, these slopes really don’t suit him well at all, he just did everything he could. All main rivals are still pretty much close. Considering it’s going to be a really tough stage tomorrow, with such a different finishing climb, Los Lagos, and it being the third consecutive day in the mountains, anything can happen."